As you or your loved ones research different options opioid addiction treatment, some questions may come to light. For example, are you just replacing one pill for another? This is a great question and the following describes four of the top fears that we have heard patients and their caregivers offer when considering medication-assisted treatment (MAT). 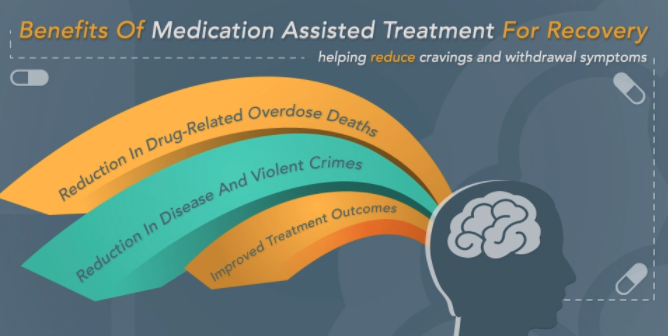 For more information on MAT, please see our previous blog post, Understanding Medication-Assisted Treatment (MAT) for Opioid Addiction. A physician, educator, and addiction medicine expert, Sybil Marsh MA MD FASAM Department of Family Medicine and Community Health Case Western Reserve University/UHCMC compiled responses to the top four fears in her paper on Medication-Assisted Treatment (MAT) for Opioid Use Disorders. Supporting information and explanations are included from the Substance Abuse and Mental Health Services Administration (SAMSHA) and the National Institutes of Health (NIH) as indicated to enhance the readers’ learning and understanding. While MAT may feel like just providing another pill to address opioid addiction, it is in fact a useful tool to facilitate opioid addiction treatment. Medication helps the patient participate and focus on the most important part of treatment, which is behavioral treatment and applying the lessons learned without being overpowered by cravings and withdrawal symptoms. There is nothing “easy” about opioid rehab. The medication used in MAT makes withdrawal safer and more humane. Medication provides a safety net so the patient can take risks to do the “difficult work”, which happens in counseling to change behaviors that have led to opioid addiction. Fear #3: Medication will continue an existing opioid addiction. 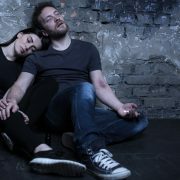 While it is possible for a physical dependence to the medication prescribed to occur, the addiction behavior, such as social withdrawal, or diminished coordination, decreases during the MAT process. MAT addresses co-occurring use disorders, or the coexistence of both a mental health and a substance use disorder, through medication and behavioral counseling. 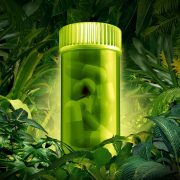 Fear #4: Medication will cause new substance addictions. The medications used in MAT reinforce the opioid addiction recovery process rather than providing another addiction. Methadone tricks the brain into thinking it’s still getting the abused drug. In fact, the person is not getting high from it and feels normal, so withdrawal doesn’t occur. It is usually given in liquid form or a wafer. Like methadone, buprenorphine suppresses and reduces cravings for the abused drug. It can come in a pill form or sublingual tablet that is placed under the tongue. Like opioids, buprenorphine produces effects such as euphoria or respiratory depression. With buprenorphine, however, these effects are weaker than those of full drugs such as heroin and methadone. Buprenorphine’s opioid effects increase with each dose until at moderate doses they level off, even with further dose increases. This “ceiling effect” lowers the risk of misuse, dependency, and side effects. Buprenorphine is also combined with naloxone, to prevent abuse and misuse of this medication if it is injected. Naltrexone, which is injected, works differently than methadone and buprenorphine in the treatment of opioid dependency. If a person using naltrexone relapses and uses the abused drug, naltrexone blocks the euphoric and sedative effects of the abused drug and prevents feelings of euphoria. Naltrexone may not stop drug cravings. It may be a good choice if you are completely past withdrawal and highly motivated to stay in recovery. 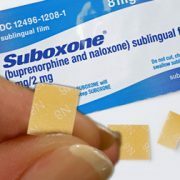 Suboxone® MAT treatment is often found to be the best treatment course for outpatient opioid rehab. How long must a patient experience MAT? People may safely take medications used in MAT for months, years, several years, or even a lifetime. Plans to stop a medication must always be discussed with a doctor. In 2013, an estimated 1.8 million people had an opioid use disorder related to prescription pain relievers, and about 517,000 had an opioid use disorder related to heroin use. MAT has proved to be clinically effective and to significantly reduce the need for inpatient detoxification services for these individuals. MAT provides a more comprehensive, individually tailored program of medication and behavioral therapy. MAT also includes support services that address the needs of most patients. If you have questions about the process of medication-assisted treatment, please call AOC at 330-259-4849, or e-mail us for more information or to schedule an appointment.